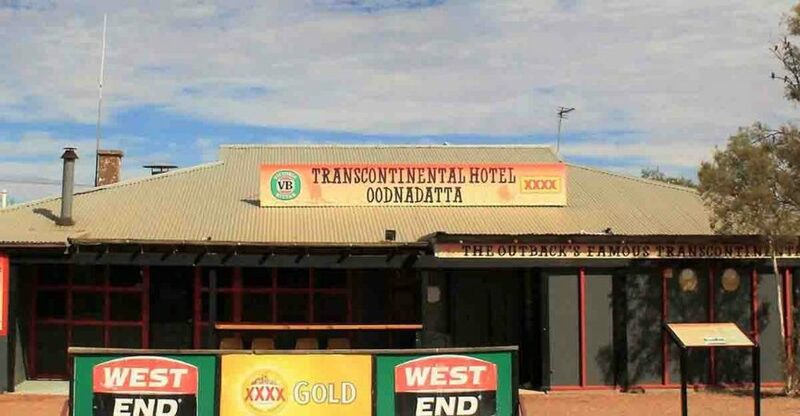 A patron of outback legend the Transcontinental Hotel decided to drive his ute into the pub in a self-fashioned ‘drive-through’ after being refused more alcohol. Father of three Caleb Angus Warren had reportedly been drinking heavily for several days, even skipping work. On Thursday 21 September 2017 his uncle was dispatched to the pub to fetch more alcohol, but returned empty-handed because the licensee was not present, meaning takeaway could not be sold. Flying into a rage, Warren got into his ute, doing burnouts and driving erratically around town. After a time, he drove directly at the pub, with two women seated out front. “The two women ran for their lives when they saw you driving towards them. You ploughed through the hotel, knocking three people off the stools they were sitting on,” said District Court judge Gordon Barrett. The vehicle is said to have come within 30cm of hitting one person, who was injured when he rolled over the vehicle’s bonnet, and endangered the four patrons and four staff members inside. The intoxicated 28-year-old tried to fight people rushing to the scene, before police took him to Coober Pedy Hospital for treatment of minor injuries from the crash. Warren reportedly told officers that his actions were because the hotel would not serve them, so he wanted to make the pub “a drive-through”. The incident caused damage of more than $31,000. The owner is not insured as unable to afford premiums, and Warren is believed to have made no moves toward restitution. Judge Barrett found there were exceptional circumstances, and issued a two-year good behaviour bond, under threat of suspended prison sentence of three years, eight months.